It’s my guess that most of you creatives out there have at least a small collection of markers among your stash. If so, you need Let’s Get Creative with Markers! In very concise and easy-to-understand language artist Angelea Van Dam takes readers through the “colorful” world of making art with markers. Van Dam, who works from her home in Australia, discusses the similarities and differences of water-based and alcohol-based markers, embellishing markers, along with papers, journals and sketchbooks. 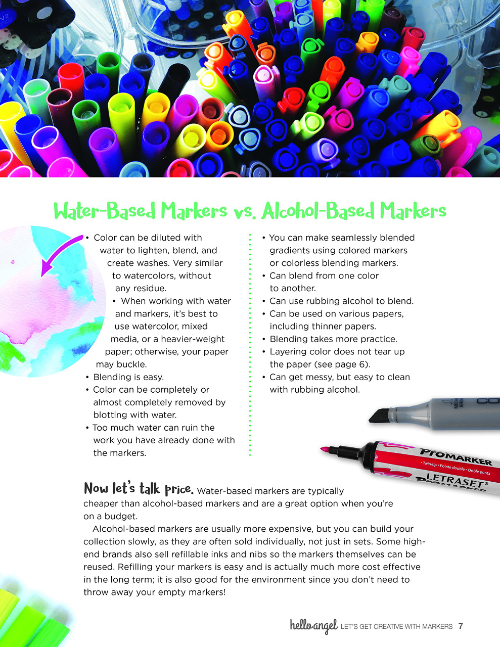 After a thorough discussion of marker “care and feeding,” Van Dam guides readers through marker techniques such as Watercolor Effects with Water-based Markers and Blending with Alcohol-based Markers. 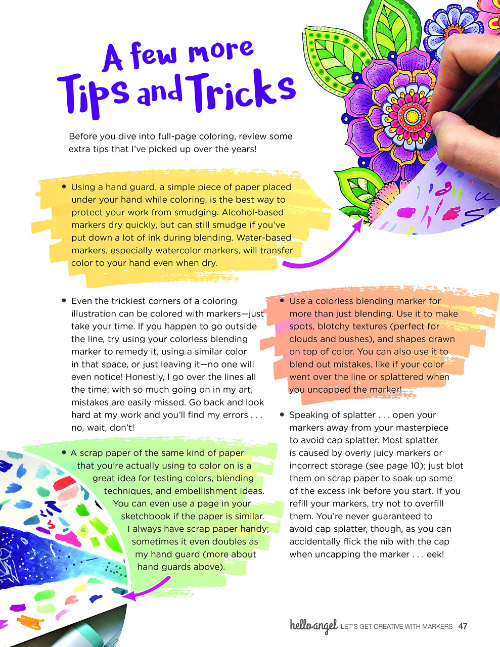 The basic exercises, including Flowers, Patchwork on Paper, Firework Explosions and Watercolor and Doodles, each include step-by-step instructions and helpful photos. The book also includes lots of tips and tricks and a small collection of Van Dam’s original art for readers to use to get the techniques down. 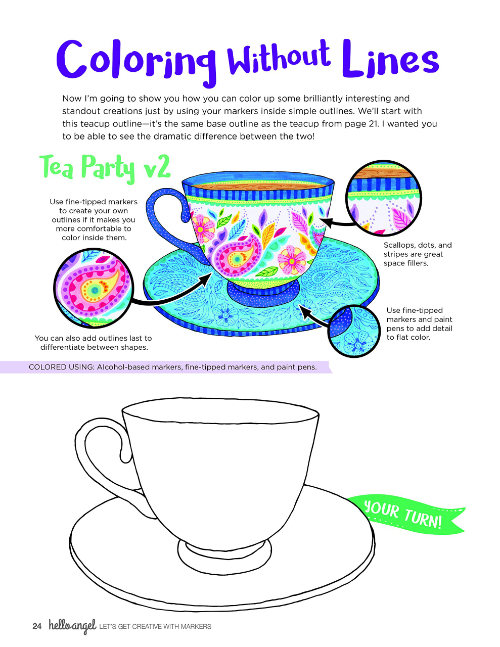 Let’s Get Creative with Markers, a publication of Design Originals, retails for $12.99 US, $16.99CAN and £9.99 REP UK.